Like I have been saying they ingredients have changed in this past year and my dog ised to come running for them. Now they wont even eat them. Something has changed and its bad. Best hard biscuit there is! Milk Bone hard dog biscuits are the best dog treats of their kind! They are great to keep on hand to treat your dog, or even for special rewards. They come in sizes for every bread of dog, and you can get smaller or larger package sizes too. This is a great training treat because you can either get smaller bones, or they can be broken into smaller pieces if you need to be able to give them several pieces in a training session. 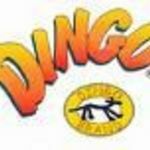 We have hunting dogs and these are great for taking on the go. No worry about stinking or staining up your pocket. All of my dogs love these and they have tried all of the flavors and like them all. 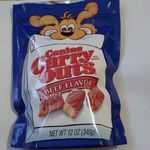 My favorite to buy is the flavor snacks that have 5 meat flavors all in one box. That particular box has beef, sausage, chicken, turkey, and bacon flavors. Another thing that I love about milk bone brand is that all the bones are fortified with 12 vitamins and minerals some of which are protein, fiber, calcium, copper, zinc, and vitamins A, D, E, and B12, which a lot of dog treat brands don't have. They do clean their teeth and freshen their breath as well. 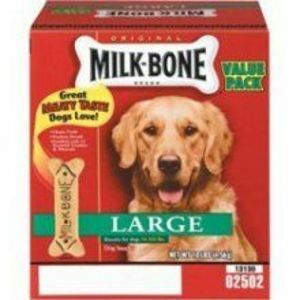 Just looking at the box I also saw that since 1997 milk bone has been giving a portion of every purchase to providing children and adults with disabilities and special needs service dogs. Now that is a good company to give back like that. I want to support companies who give back to the world, and that is a big reason why I am a customer for life! 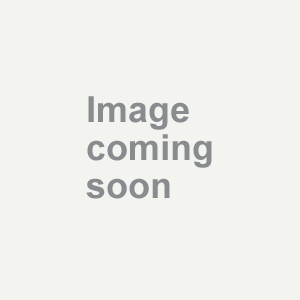 These bones are highly avaliable and are so reasonably priced. I always recommend them to all dog lovers, and for all dogs of all breeds. They have been around since 1908, and knowing they have been trusted and purchased for that many years is pretty neat and makes me even more confident with them. There are many dog treats on the market and some are not good for dogs and some made in China, and made with low standards, but these are actually printed with where they were produced right on the front of the box. Always supervise pets with treats! I began purchasing Milk-Bone Dog Biscuits at the request of our local animal shelter. I often give them donations, and I like to give them the product they regularly use. Milk Bone has been making dog biscuits for over 100 years, this is a brand that can be trusted. After we adopted our own dog, we continued to give Milk-Bone Dog Biscuits to him as a treat. They are made in several formulas, depending on the size of your dog. They offer mini, small, medium and large as well as senior and puppy formulas. 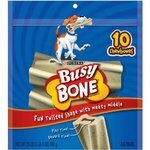 These bones are the perfect snack size, I often use them as a reward for good behavior, ex: for going outside to potty. I like that they are also fortified with 12 vitamins, so I am giving him a treat, but not just filler. I like to keep the mini size on hand, even though my dog is not small, he likes his treats, so the minis are perfect to have a few per day. Milk-Bone Dog Biscuits are also approved by our veterinarian as a good treat, I appreciate that my doggie doctor approves, and so does my dog! My Chihuahua Nakia absolutely loves these treats! She can tell just by looking at the box now that these are her treats...Her favorite ones!!! We've offered her many different treats and she'll either straight out refuse them or she will act as if she will eat it but then leave it "hidden" someplace else but not with these treats! We tried these as a last resort and she took to them right away! the best thing about Milk-Bone dog biscuits is that there are different flavors for her to try which allows us to switch up the flavors and surprise her! These are a great brand of dog treat because they are well made and not too hard for her little mouth to chew on. She has been getting these treats from us for a little over two years now and we have never had a complaint...they don't make her sick like some of the others have in the past, The best thing about these treats is that they make her happy!!! We have recommended these treats to our friends and they to agree that they're great! The Milk-Bone Dog Biscuits are great everyday treats. One of my dogs favorite treats. My dog is a larger breed. I buy the large biscuits. The biscuits are just the right size for my dog. I first bought the biscuits when i brought my dog home 8 years ago. We used the biscuits are training aids. They worked great for training her to go outside. She realized every time she went out she was rewarded. She loves the biscuits. She gets so excited she wags her tail knocking over anything in her tails path. The biscuits are made from quality ingredients she enjoys. We have never had a problem with Milk-Bone Dog Biscuits. The box looks great. The biscuits are very easy to find in many stores. The red color of the box looks great and makes it easier to find. I love how happy the dog on the front is and that makes me happy knowing my dog will be happy. I would recommend to anyone wanting to buy great biscuits for their best friend. My Dog Has Loved These Since He Was A Puppy! Milk-Bone Dog Biscuits were the first biscuits my dog had as a puppy and he loves them to this day. I always have a supply on hand in his treat jar. These come in many sizes - Mini, Puppy, Small, Medium, and Large. I purchase the mini size for my Chihuahua since they are the perfect size for his little mouth. I'd been buying the puppy size for him until they came out with the minis and he likes the minis even more but both sizes are suitable for tiny dogs. These are hard - very hard - but they don't seem to bother him and he chomps his way through them with no problems. I feed him two or three minis at a time and they keep him busy for a while. He thoroughly enjoys his Milk Bone time! Nutrition wise, these may not be the best treats out there but they are a good quality and are certainly significantly better than most treats, especially the soft ones, available. These are also available in almost every supermarket, big box store, and pet store so they are easy to find during my regular shopping. A box lasts quite a while too so they're very economical. Overall, my dog and I both recommend these. I have four dogs that range in age and weight. From 11 months and 50 pounds to 8 years and 145 pounds. All of my dogs really enjoy these treats. In fact, I have owned many dogs ever since I was a little girl and I cannot think of any dog that has ever refused the Milk Bone Biscuit. It has been around for a very long time and I consider it to be a staple for any collection of dog treats. I love that they come in different sizes for different sized dogs which makes it easy to find the size that will most fit you and your dogs needs. They are hard and crunchy and are not something that your dog can just swallow without chewing. I think it gives them a nice break when they receive one for a treat and all the chewing has got to have some positive effects on the teeth and gums in my opinion. I would recommend these to anyone that has a dog because dogs love them, they come in a variety of sizes and flavors and are reasonably priced. I used Milk Bone Dog Biscuits to train my dog initially and they later became just snacks. I would give my dog treats every time she performed a command and it worked out pretty well. While using these treats I got my dog to sit, lay down, shake hands, and roll over by command. These treats are a nice size and aren't hard on her teeth. They have a very nice smell and forms a nice gravy like consistency when she eats them. She usually can eat a single treat in a couple of bites. When I was training my dog I noticed that when I fed her more than 6 biscuits at a time it would cause slight diarrhea. It would produce a lumpy liquidy stool, but it had no major impact on her health. If I spread the treats out through out the day it doesn't cause a dramatic change in her stool. The best thing about this product is that they are extremely cheap and a box or a jug can last well over a month. I will continue to purchase Milk Bone Dog Biscuits for my dog, but mainly as a snack. Good, dependable basic dog biscuit. I've consistently owned dogs of various breeds and sizes for the last 20 years, and I've given all of them Milk-Bones. I can't say they are especially exciting or different, but my dogs have always been more than happy to receive one as a treat. They come in different sizes to suit small, medium and large dogs, and are crunchy treats so it makes me feel like they may have some teeth-cleaning benefit, although I haven't really seen any evidence of it. My current dog has a very sensitive stomach and vomits from certain dog foods and treats, and she's never had any problem digesting the Milk-Bones. The only negative thing I can say about them is the packaging needs to be changed to a resealable bag. The box they are in is not air tight, and sometimes crumbs leak out of the bottom. Also, one box I bought had weevils in it and they ended up in my pantry which was not a pleasant experience.